Nightlife in Guangzhou is ever vibrant with a myriad of pubs, clubs, and KTVs scattered in downtown. After 2010 Asian Games, more romantic touch soaks into Guangzhou’s night along the stretch of Pearl River and new city axle. Pearl River Night Cruise and ferris wheel riding on the top of Canton Tower has been the most welcomed night activities in Guangzhou. 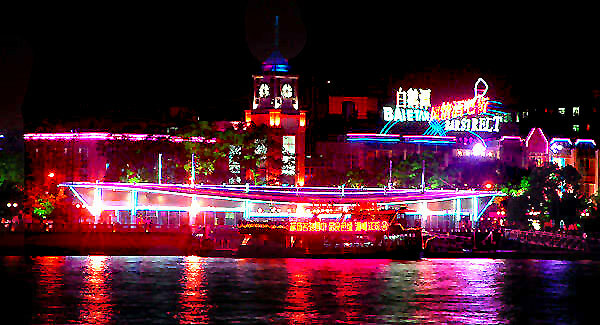 Pearl River Night Cruise is developed as a tourist attraction because of its beauty at night is spectacular. 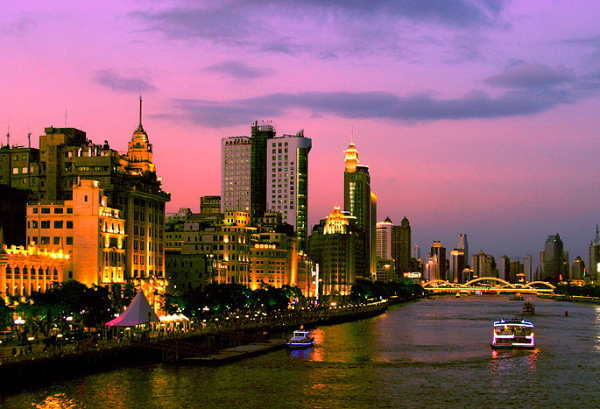 The cruise starts from Bai'ertan (White Swan Lake) to Guangzhou Bridge in the east and Baihedong in the south. 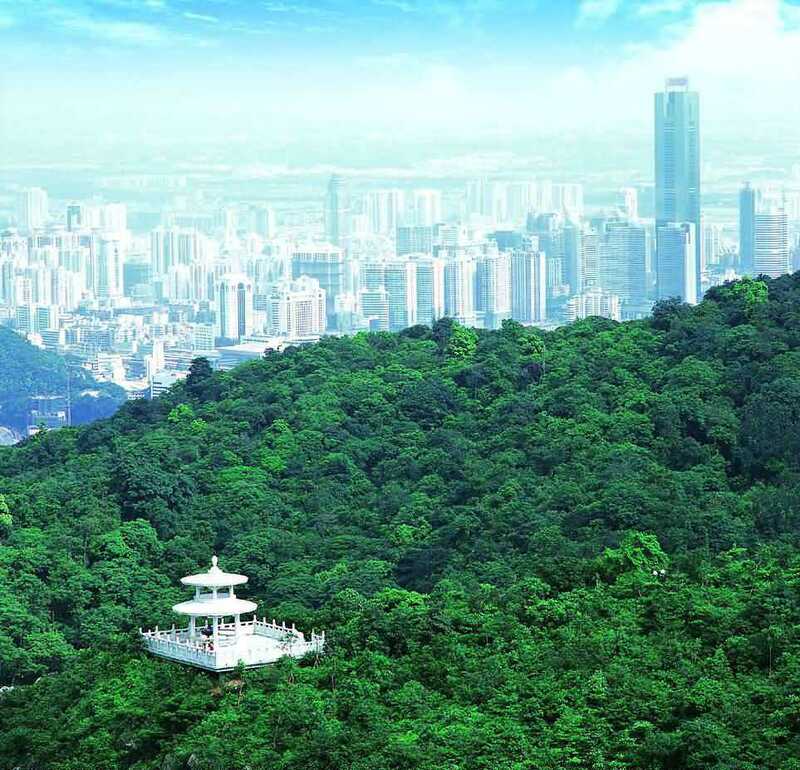 It passes lots of fascinating scenes on the way, including Canton Tower, White Swan hotel, Shamian Island, Haizhu Bridge and the 8 most famous sightseeings in Guangzhou city. The whole cruise costs about 60 minutes and there are buffet dinners and wines provided on the yacht. Located at the bank of Pearl River, Bai Er Tan Bar Street is a bar street integrated with entertainment and business. Comparing with other bar streets, Bai Er Tan has the advantage of its location and European style architectures. Pubs with different themes and of different levels are concentrated here.Amigo is one of the most popular pubs in Bai Er Tan Bar Street. It has a French pub on the first floor and a V-shaped restaurant on the second floor. Decorated by saddles, special pictures and transformative wine bottles, Amigo is reputed as the pub with best emotional appeal. Located in the center of the city, Huangshi Road Bar Street has concentrated abundant of foreigners. 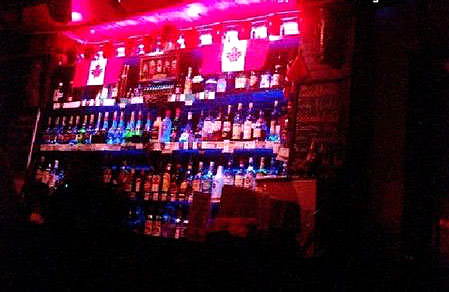 This is the most popular bar street among the foreigners. It is also the typical feature of this street comparing with other bar streets in Guangzhou. From its west to east, Gipsy King Bar, Elephant&Castle pub, Hill Bar, and Peace Road Bar are all popular ones. Concentrated with the young generation, Yanjiang Road bar is the foreland of fashion in the city. Lots of pubs in the street are in different features because they are changed from the ancient architectures. 1920 café, located at a corner of the street, was once the German power house. 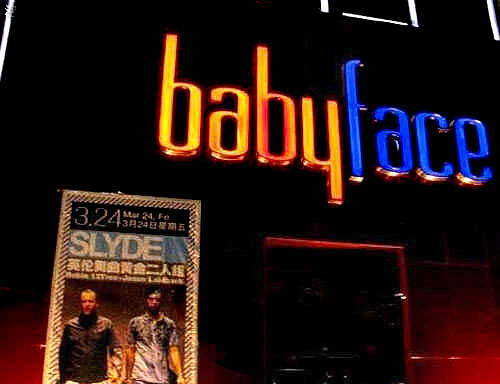 Other popular pubs like Baby face, 136 Sleeping Wood Bar and Deep Anger Music Power House are all located in the street.